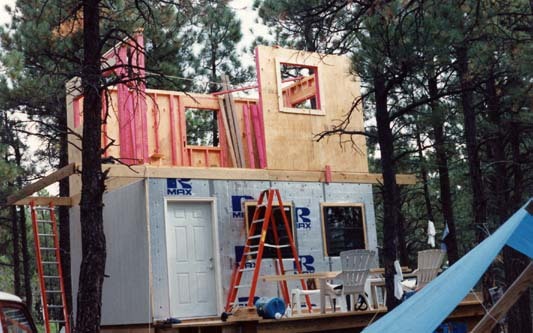 Cabin as constructed during the process. 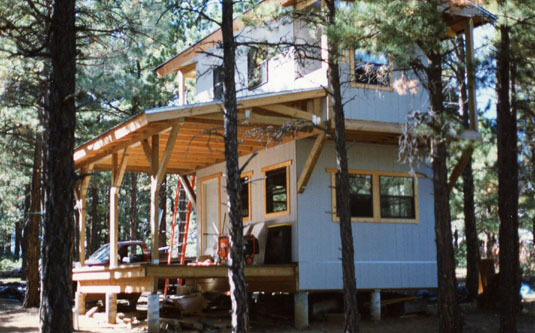 Cabin is constructed with southern yellow pine, hauled to Colorado from central Texas. 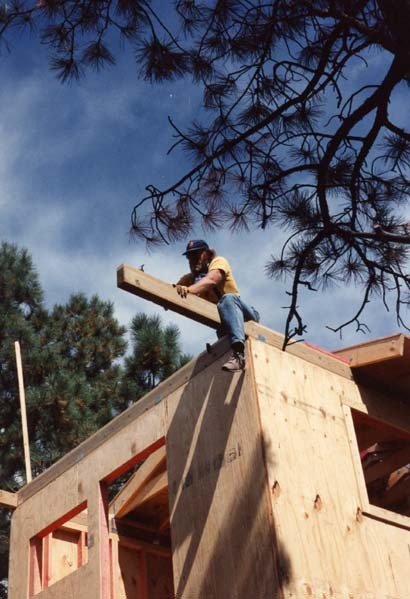 Yellow pine is heavier and stronger than the spruce, pine and firs available in Colorado. 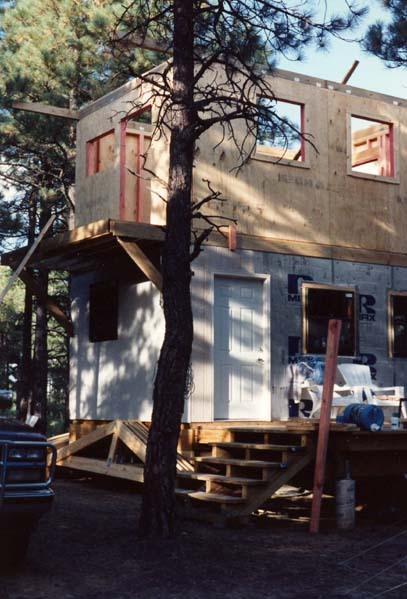 surface treated pines available in Colorado. 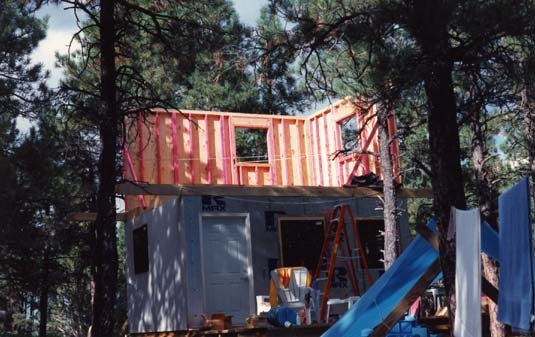 The pink studs are kiln dried yellow pine. 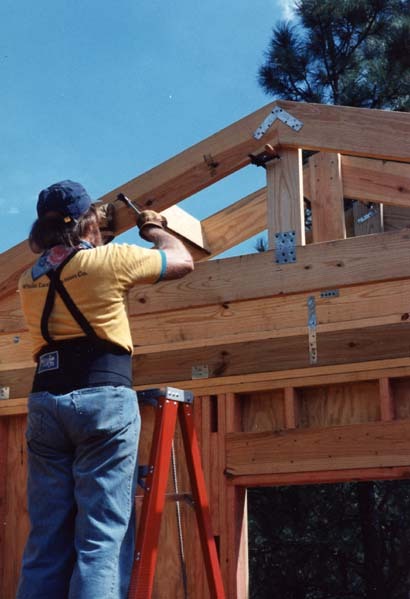 Each was hand selected at the lumber yard over several months for straightness. There are many dozens of bolts in this cabin, some up to one foot in length. highest point on this ranch, at 7200'. 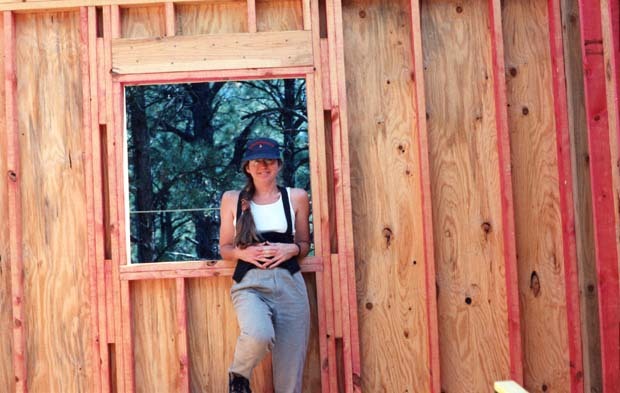 This would be a very good temporary dwelling, while you build a primary home. 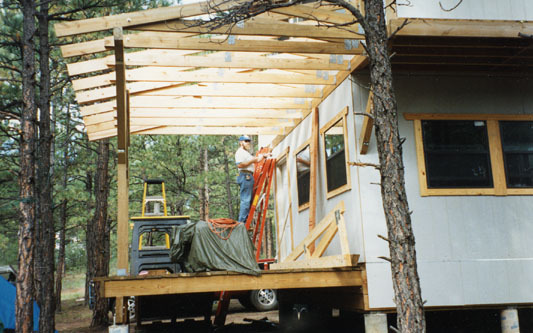 Afterwhich, this would make either a good storage building or a guest cabin. doubled or tripled in size. 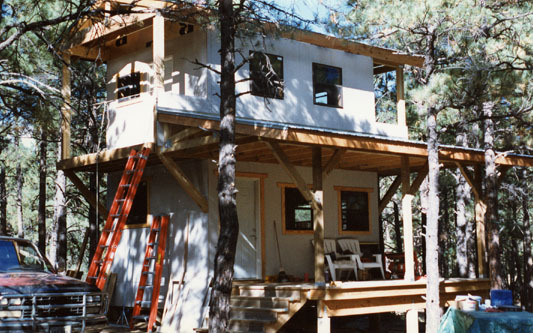 A cool shaded Treehouse Cabin in the woods, near a meadow with a great view of the mountains! both entrance metal doors. Both external doors have dead bolt locks. All acreage is approximated on this advertisement. The legal descriptions are accurate.